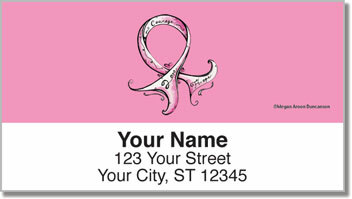 Now you can show your support for all those afflicted by breast cancer every time you send a piece of mail. 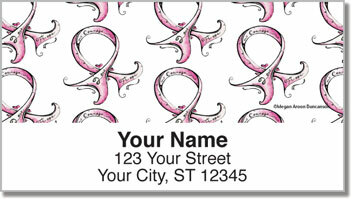 Created by Megan Duncanson of MADART Designs, these uplifting designs come in a variety of different styles so you can show solidarity with all those fighting through trials. 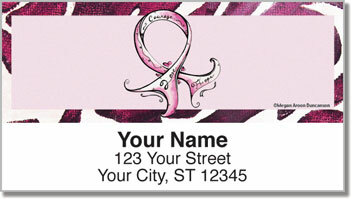 As an added bonus, these address labels comes with a sticky backing. This means you'll not only be showing your support for a good cause, you'll be saving yourself from some tedious work at the same time. Show you care. Order these address labels today!